At Vuelta 2013 he won two stages, at first year in World Tour, so that he gave us the clear picture of his potential. I think that 2014 and 2015 may be considered transition years, those necessary to build a solid background. We should see him back to some heavy win next season. He may be considered one of the leaders in his team, even if he has to proove to be able to share this kind of responsibility with Dumoulin, who's a bit ahead of him in the grow up process. 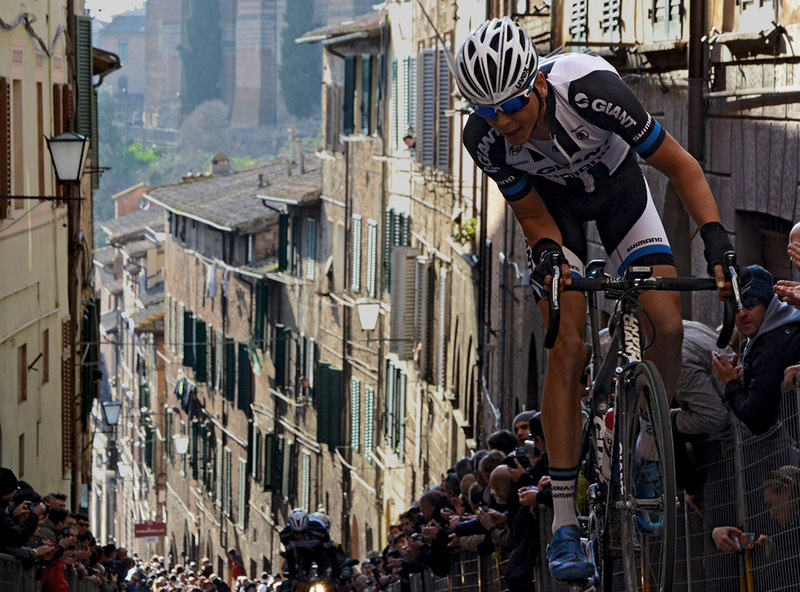 Here climbing the steepy road to Il Campo di Siena, at Strade Bianche 2014.
che bella questa foto! l'hai pubblicata anche da qualche altra parte? Certo che non è cosa da poco, per una corsa, avere sfondi come questo. PubblicatA qualche giorno fa su IG. Forse già su Flickr un paio d'anni fa.